These will keep them coming back for seconds! 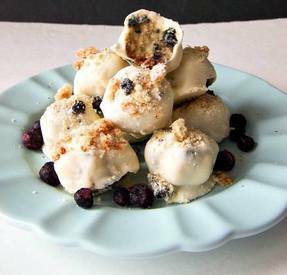 These blueberry cheesecake bites are made from a cheesecake blueberry cake recipe rolled up and dipped into white chocolate. They are perfect for any occasion or for none at all! Treat yourself, they are delicious!